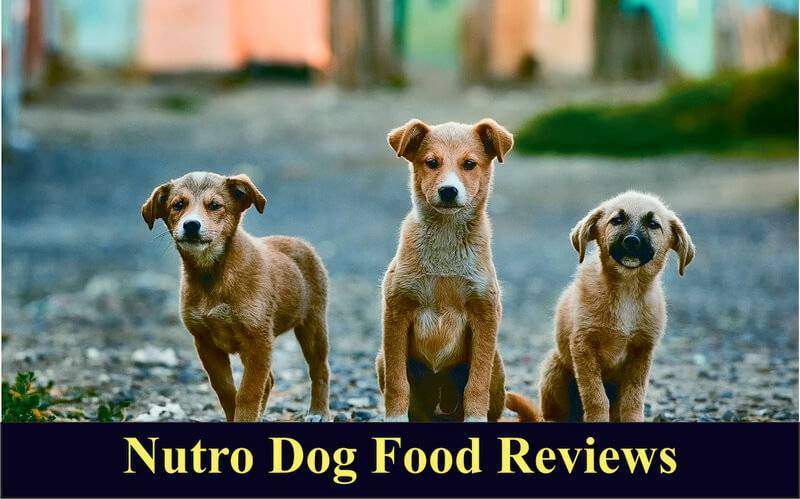 Complete Nutro Dog Food Reviews : Is It Worth A Shot? If not the quality of the dog foods they produce, one other place Nutro thrives in is their extensive range of dog food recipes. Even though the brand isn’t as popular as some of the heavy-hitting dog food brands that we know today, there’s more about them you will love to know. Headquartered in Tennessee USA, Nutro is a subsidiary of Mars Incorporated. The company was established in 1926, meaning they have been in the dog food industry for nearly a century. Clearly, they came a long way (before the acquisition by Mars in 2007). Today, the brand caters to dogs as well as cats. One dog diet that has become quite a hit and is synonymous with this brand is the Greenies dog treats. Nutro enjoys a nice reputation among pet parents mostly because they have adopted the method of educating you as a parent on the nutritional needs of your dogs. Nutro also provides you comparative literature on ingredients that highlight the quality of Nutro dog food over other competing dog food brands. Actually, this has become their mode of advertising as opposed to mainstream media. If you have yet to discover the uniqueness of Nutro dog foods, my honest Nutro dog food reviews will probably make you wish that you knew about this brand earlier. In the past few years, I’ve been seeing a good number of you continue to ask, “is Nutro a good dog food?”. Well, the simple answer is yes, and here’s why. 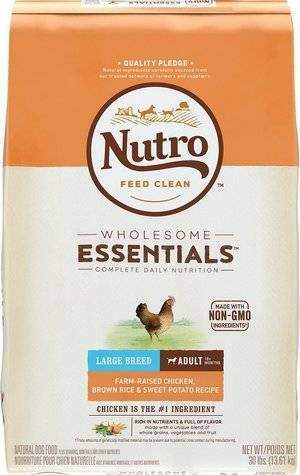 To begin with, Nutro food company adheres to rigorous standards of procuring fresh produce with non-GMO ingredients as well as thoroughly testing the finished product to ensure that it is safe for consumption and meets high nutritional standards. Next, top on the list of ingredients in Nutro dog food recipes is real animal proteins such as pasteurized lamb, farm-grown chicken, venison and salmon, all of which ensure lean muscle development and maintenance in your dog. Nutro dog food also takes pride in having a wide range of dog food recipes that satisfy different palates as well as the vast dietary needs of your pups. 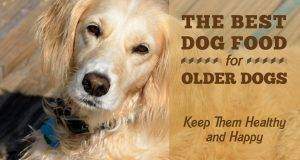 Expect recipes that address specific life stage nutritional needs for small breed puppies, large breed puppies, mature dogs, and senior dogs as well as special needs diets like hypoallergenic dog foods with limited ingredients. Also, if your pooch is getting a little too chubby, Nutro has a recipe that can remedy that. As for those with a mutt that is gluten-sensitive, a selection of Nutro dog food grain-free options will do the magic for you. Nutro is in many ways one of those best-kept secrets dog parents are yet to know about and you will see why this is so in the reviews below. In light of the enticing ads around us from new and old dog food brands, ingredients should definitely speak more loudly than those bright-colored attractive dog food packages. 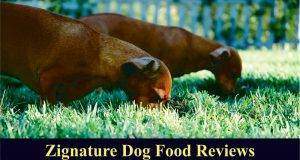 As I explore reviews of selected Nutro dog foods, you will see why Nutro food could be worth a consideration. This dog food recipe for large breeds manages to deliver on a balanced diet that caters to the unique dietary need of a large breed. Farm raised chicken is simply delicious for most hounds and is an animal protein that supports healthy muscle growth, even for larger dogs. Nutro strikes the right balance in this dog recipe by using low-fat carbohydrates such as rice and sweet potatoes to form a highly tasty but also digestible meal that is easy on your hound’s stomach and digestive tract. 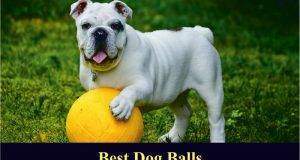 Bone and joint strength, as well as proper skeletal development, is essential for large breeds. This recipe ensures this is taken care of through a generous presence of chondroitin and glucosamine sourced from chicken meal. You can get this nutrient-rich recipe from stocked online pet stores like chewy.com. 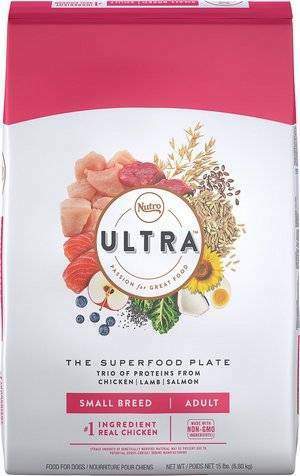 Nutro Ultra dog food reviews on popular online pet stores sort of reveal what the craze surrounding this recipe is all about. 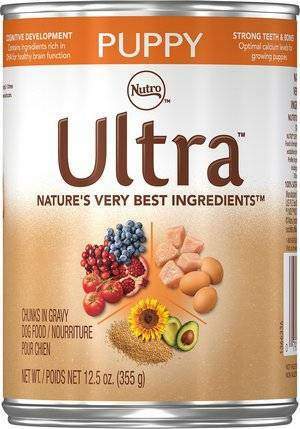 What is refreshing about the Nutro Ultra line of dog food is the blending of ingredients and the nutritional benefits. A tasteful blend of chicken, salmon, and lamb constitute the first ingredient and this ensures that your pooch is amply supplied with adequate animal protein which is essential for lean muscle growth. You are probably aware that small adult breeds have a smaller stomach and hence their feed needs to be regulated to avoid issues such as constipation. Nutro Ultra Small Breed Adult Dry Dog Food packs a punch in a single kibble, implying that your pup can eat little food and still gain those much-needed nutrients. A unique blend of 15 superfoods like kale, coconut, chia, and blueberries just to name a few, not only make this recipe tasty, but also balanced and rich with immunity boosters, antioxidants, amino acids, fiber, and essential vitamins. If you would like to see your pooch with healthy skin, you will love how salmon and sunflower oil combine to form a rich profile of omega acids for healthier skin and coat. Make your little buddy enjoy the rich taste profile of this dog recipe by placing your order on well-known online pet foods outlets such as chewy.com. Nutro Ultra Weight Management Dry Dog Food will be of great help to your pooch when she becomes too chubby for her own comfort. Remember, an overweight pooch can develop a number of complications like hip dysplasia as a result of joints being overworked. One of the ways to address an overweight situation is through a diet that is rich in protein yet low in calories. My recommendation would be for you to consult with your vet in order to decide on the appropriate diet. Meanwhile, coconut, chia, and the other superfoods in this recipe make it tasty and nutritionally balanced while maintaining low calories without compromising taste and nutrients that are vital to your pooch. On top of that, this recipe is rich in animal protein, which doubles up as the first ingredient. It’s from a trio of sources, including chicken, lamb and salmon, all of which support lean muscle growth. 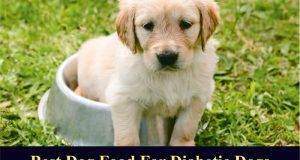 Generally, this diet will work for most dogs that need to trim off some pounds. But as mentioned earlier, be sure to consult with your vet to make sure this is the best choice based on your buddy’s weight management needs. 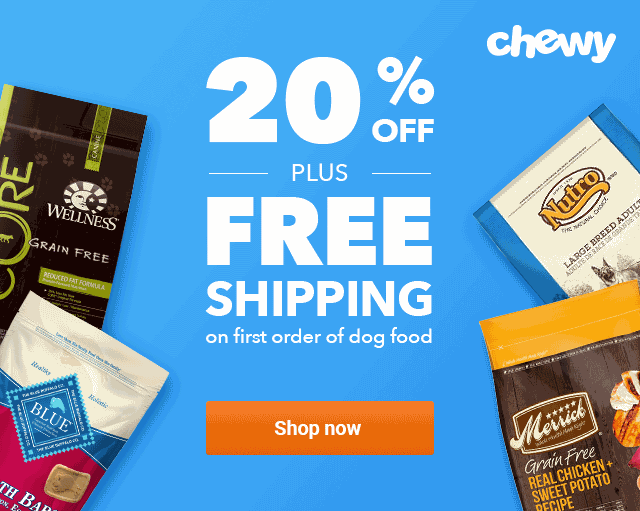 Nutro Ultra Weight Management Dry Dog Food is available on chewy.com and other well-established online stores. It’s unfortunate if you have a mutt that suffers from grain-related allergies or stomach issues such as constipation. But you probably know that your pooch is better off with a healthy dog recipe that is 100% grain-free. 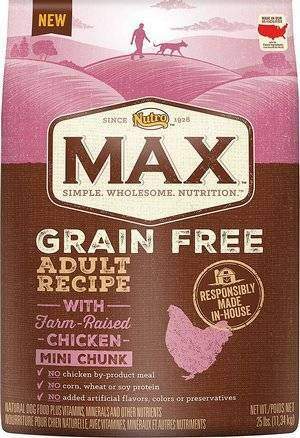 Nutro Max Grain-Free dog food is a superb viable grain-free option. Farm raised chicken remains as the first ingredient. Thus, a healthy daily dose of this recipe will ensure that your dog’s muscle development is being taken care of. The carbs in this recipe have been replaced by legumes and potatoes, both great alternatives to grains. What’s more, these carbs are adequate sources of energy and are rich in fiber which promotes easier digestion. Nutro Max Grain-Free Natural Adult Dry Dog Food clearly has a lot to offer your allergy-prone dog. You can discover more about its goodness by placing your order from trusted Nutro recipes distributors like chewy.com. How does your doggy like her food, dry or wet? Already, I have provided loads of dry food options above. But for those with pups that love a wet dish, Nutro has you covered as well. This Ultra Puppy Canned Food is delicious, with animal protein as the main ingredient for proper muscle development in your pups. It contains a trio of chicken, salmon, and lamb coupled with healthy carbs such as whole brown rice. What makes Nutro Ultra Puppy Canned Food an attraction to most pet parents is the fact it’s wholesome and rich in DHA from salmon and egg. 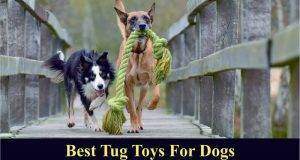 These two features help in the brain and cognitive development of your pup. You don’t believe me? Check out the Nutro puppy food reviews on chewy.com. Don’t hesitate to place your order as well because the stocks don’t always last long. Dogs, just like humans, have what they cherish and loathe where taste and smell are concerned. Your dog definitely has her own individual preferences and for now, you can relax knowing that Nutro understands that. 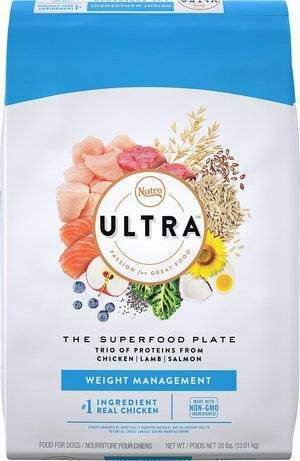 The brand has gone to great lengths and has succeeded in producing three dog food lines, namely Nutro, Max and Ultra that cover almost anything that a dog needs nutritionally. 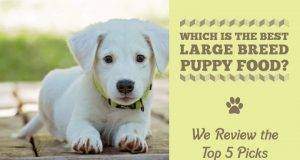 Although you may not have come across or recognize this brand, you now know that they have excellently crafted dog recipes that your large, medium, or small breed as well as pups are likely to love. Try Nutro foods today. Chances are you won’t be turning back once your dog gets a taste. Next: Leash Training Your Golden Retriever for No More Pulling!